So, you’re after an SUV, but it needs to be cheap. No, I mean like really cheap. 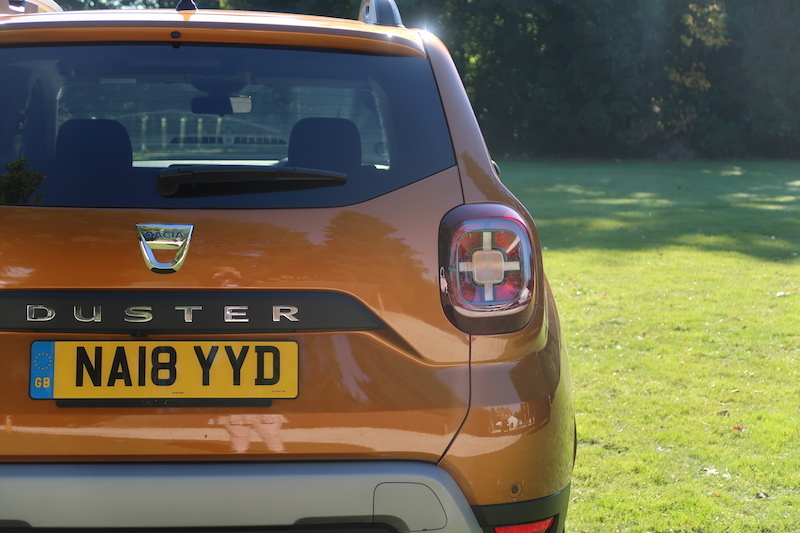 This could be right up your street – the super thrifty Dacia Duster. It’s a car that offers practical family motoring at a low price, but does it mean it’s full of compromises. A first glance at this ‘all-new’ Duster may reveal little changes, as it looks very similar to the model that preceded it. However, take a closer look and you’ll note this model has a more muscular looking stance, despite sharing the same dimensions as before. Every single body panel is also new, so it’s not as if Dacia has been lazy and simply recycled old bits from the last model. Granted, it’s not the last word in style, but for a car of such a low asking price – it starts from under £10,000 – I’d argue it’s quite a looker. My wife strongly disagrees with me on the styling, but I like it’s simplistic chunkiness, as well as the Desert Orange paintwork which gave a satisfying glimmer in the autumn sunshine. My time with the car was short though, so my time to insect the exterior styling was brief. 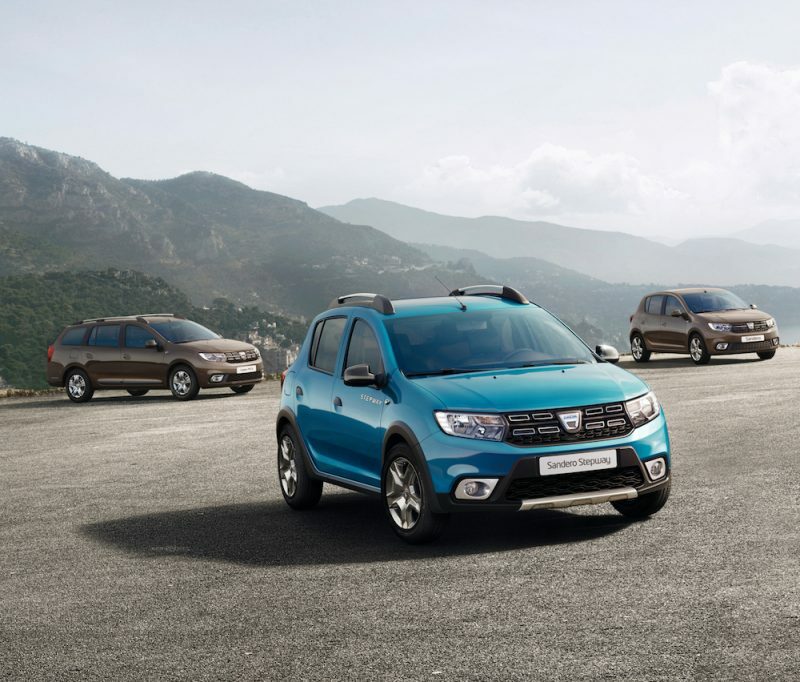 As you would expect, the inside is far from luxurious, but Dacia has made a conscious effort to improve it from the first generation model. 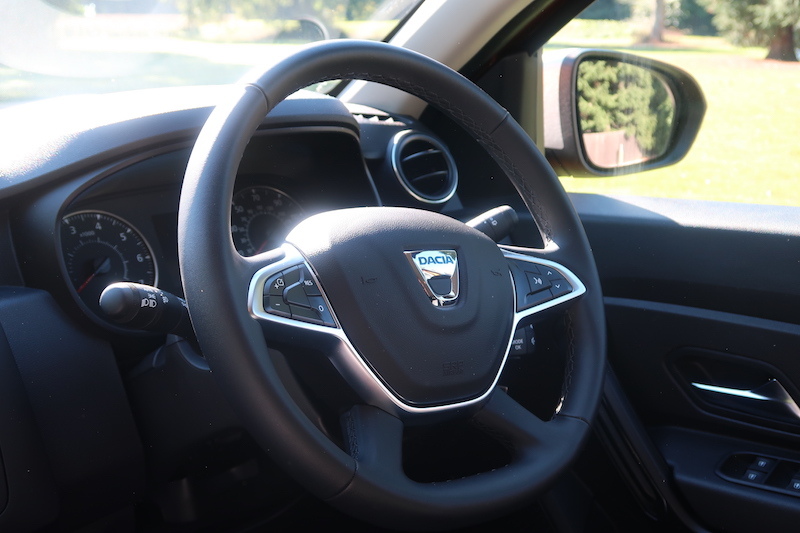 The seats feature a denser foam to offer better comfort, and the driver’s seat has been given a larger range of height adjustment, so it should be easier to get a good driving position. There’s no where to rest you right left foot though, but I’ve been told that’s a result from converting the car from left hand drive to right hand drive. There are a lot of hard plastics throughout the cockpit, but complaining about that would be going to a cheap restaurant and complaining about the quality of the food – you get what you pay for. 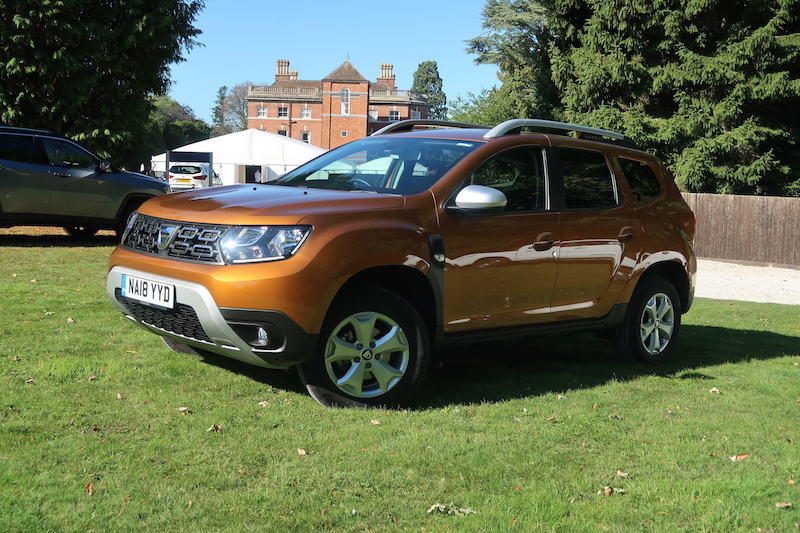 The inside is agreeable enough though, and for the first time, the Duster features a 7″ touchscreen, which is able to boast DAB radio, Bluetooth and navigation. You will need to opt for the Comfort or Prestige model to get it though. Is it any good to drive? Well, as long as your expectations aren’t too lofty, then you should find it to be just fine. The choice of engines are far from expansive, as there are just two to choose from, both of which are naturally aspirated. You can either have a 1.6 litre four cylinder petrol engine, or a 1.5 litre four cylinder diesel, both of which offer 115hp. I have the petrol engine here, which offers 156Nm of torque to go with the 115hp. This power is mated to the front wheels via a 5-speed manual gearbox, but four wheel drive models are also available if your lifestyle is a bit more outdoorsy. Performance, as you would expect, requires patience as it will take you almost 12 seconds to get to 62mph and the top speed is 107mph. The engine needs to be worked hard to make progress, so expect there to be a fair bit of noise from that four pot unit if you really need to make some progress. The engine may be boomy when revved, but Dacia has been hard at work to make the driving experience more pleasurable than before. This is because Dacia states cabin noise has been halved thanks to better sealants, and slightly thicker glass. The windscreen has also been brought forward by 100mm to improve front space, and it’s little things like this that help to make the Duster a more agreeable car to live with. The ride does have a firm edge to it, but it’s comfortable enough not to cause any issues and it offers enough damping to keep the ride in check. The handling is alright, but there’s a very good chance most buyers will not be overly interested in driving dynamics. The steering doesn’t offer much communication, and even at speed it’s light. 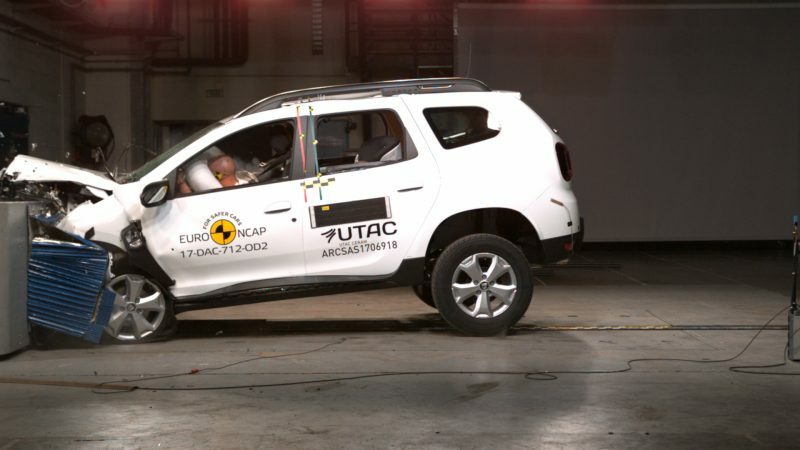 However, this means its easy to manoeuvre around town, especially as Dacia has tweaked the rack to decrease the amount of steering input needed. There’s a a predictable amount of body lean and there’s not a massive amount of grip, although it is predictable. Overall, it’s competent enough in the bends, but I doubt you could ever call it fun. Well, not unless you are easily amused. It’s pleasant enough to drive given its bargain basement price and I can’t see too many issues for buyers using this as their daily car. However, I’m not convinced the seats would offer enough support for longer journeys, but as I said earlier, you need to make sure you approach this car with realistic expectations. It’s an easy car to get on with though, the inside is easy to navigate and all the read outs are clear. Even the touchscreen isn’t too bad to use as its quicker to react than I expected, although the graphics are from pin sharp but that’s to be expected. There’s also a reversing camera and rear parking sensors to go with it, making it quite a techy car for its price. 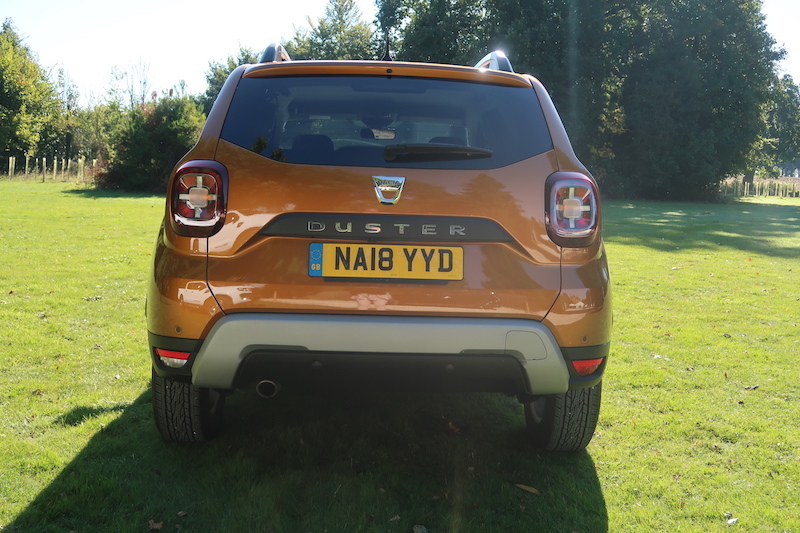 Like its predecessor, there are four trim levels available for the new Duster; Access, Essential, Comfort and Prestige. Access starts from £9,995, and as you would expect, it’s a bit spartan for kit. It offers, front electric windows, LED daytime running lights, six airbags, and that’s about it. That’s best served for those on a really tight budget then. Essential starts from £11,695, adding features such as air conditioning, DAB radio, Bluetooth, front fog lights, roof rails and tinted rear windows. Comfort (the model tested here) starts from £13,395, offering a more agreeable level of equipment as it adds 16″ alloy wheels, cruise control with speed limiter, leather steering wheel, 7″ touchscreen with navigation, and reversing camera with rear parking sensors. That leaves the range-topping Prestige model, which is priced from £14,695. This adds 17″ alloys, climate control, keyless entry, electric rear windows, and blind spot warning. 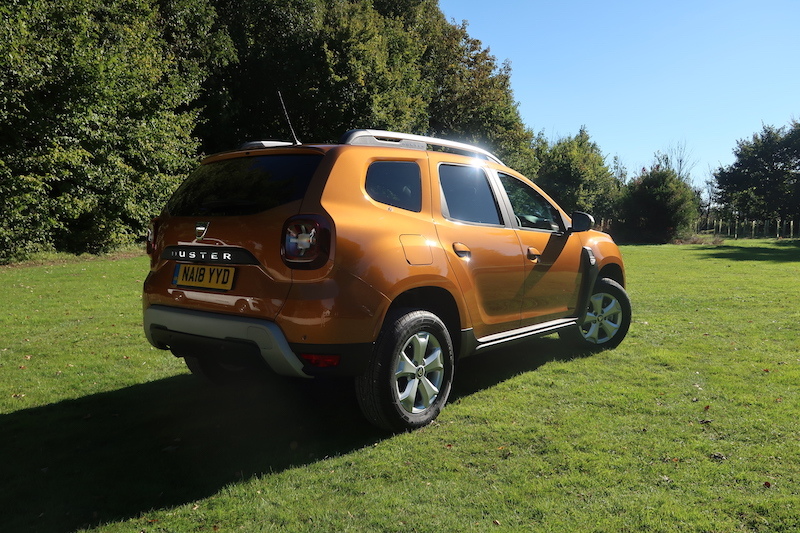 If you’re looking for four wheel drive, you would need to get an Essential trim level of higher, but you can have with either engine; the petrol being the cheaper option of a price of £13,695. So it’s cheap to buy, but what about running costs? 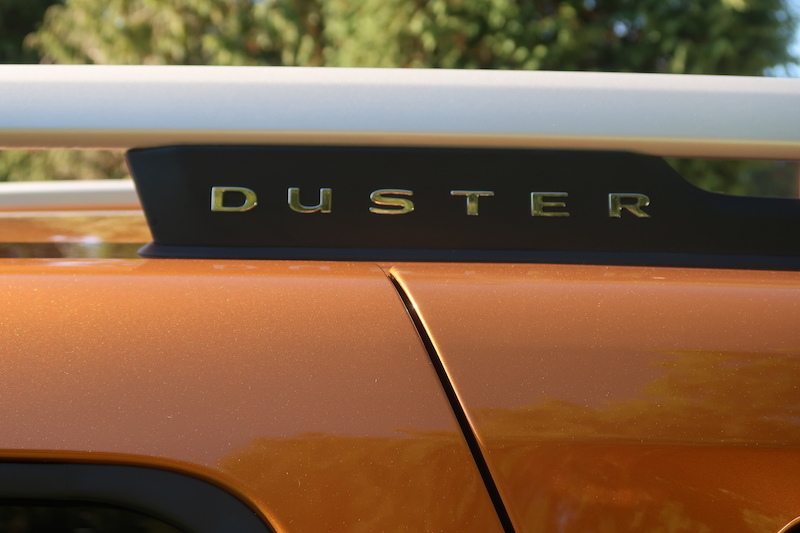 If you’re looking for the last word in fuel economy, then the Duster may not be for you. The 1.6 litre petrol engine tested here offers a rather average 43.5mpg on a combined run. There is a noticeable improvement if you go for the diesel of course, as that offers a more usable 64.2mpg. It’s also a fair bit greener as it emits 110g/km, whilst the 1.6 petrol emits 149g/km. Whilst it may offer 6 airbags and a speed limiter, that’s about the only safety kit you get. Well, not unless you include the usual suspects such as hill start, ABS, traction control and so forth. 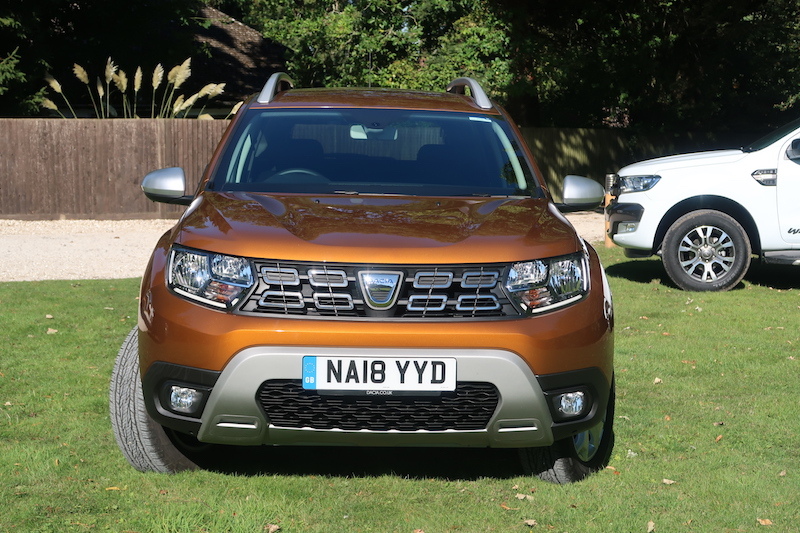 As a result, the Duster scored just 3 stars from Euro NCAP, and quite disappointingly, autonomous emergency braking isn’t even available as an optional extra. 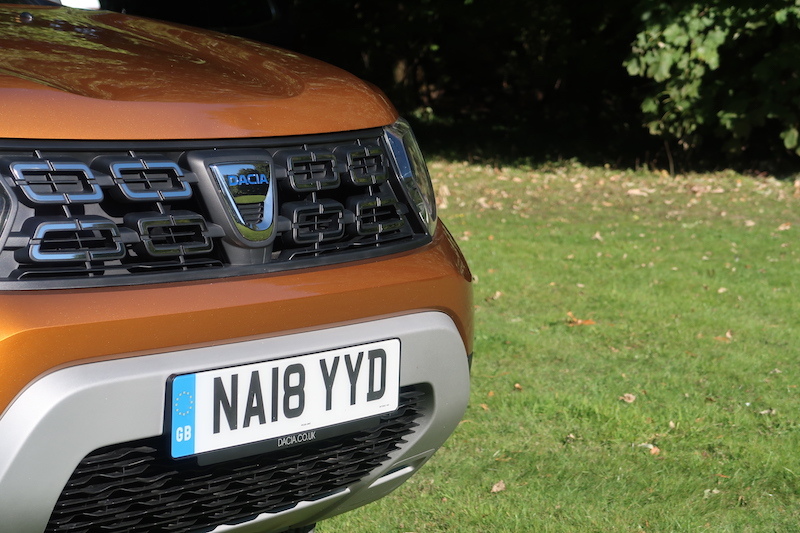 The Dacia Duster is fantastic example of utilitarian motoring and it’s a great example of Dacia’s ‘No Nonsense’ tagline. However, you can have a few more luxuries if you willing to splash a bit more cash, but no matter which model you go for, it’ll be the cheapest of its kind currently in the UK, and unlike the MG ZS, it can be had with four wheel drive. It’s far from a perfect product, but for the price, can you really argue?